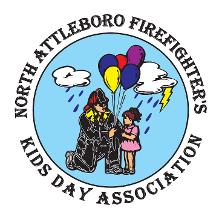 EVERY YEAR THE NORTH ATTLEBORO FIREFIGHTERS KIDS DAY ASSOCIATION SPONSORS A FIRE TRUCK PARADE WITH FIRE APPARATUS FROM ALL OVER SOUTHERN NEW ENGLAND. FOR THOSE THAT PARTICIPATE IN THE PARADE, WE HAVE AWARDS FOR APPARATUS IN MULTIPLE CATEGORIES, SUCH AS FARTHEST TRAVELED, BEST IN SHOW, NEWEST TRUCK, OLDEST TRUCK AND MORE. 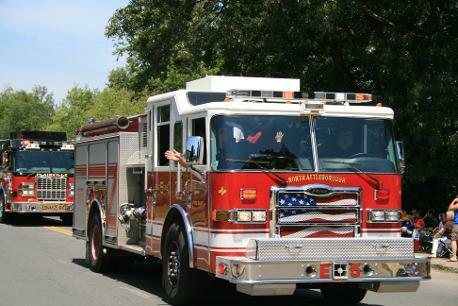 THIS YEARS PARADE WILL BE HELD ON SATURDAY JULY 27, 2019 WITH STAGING TO START AT 10:00AM AT MASON FIELD ON ELM STREET AND THE PARADE TO START AT 11:00AM. IF YOU ARE INTERESTED IN PARTICIPATING IN THE PARADE, PLEASE CONTACT dave scott or cam CORNETTA USING THE "CONTACT US" BOX BELOW. GATHERING/STAGING IS AT MASON FIELD AT 10:00 A.M. TURNING RIGHT ONTO NORTH WASHINGTON ST. TURNING RIGHT ONTO MT. HOPE ST. TURNING LEFT ONTO LANDRY AVE. THE NORTH ATTLEBORO MIDDLE SCHOOL AT APPROXIMATELY 12:00 P.M.